Proximity proved potentially lifesaving last fall when Foster, pregnant with her second child, Holden, felt contractions at 31 weeks — about seven weeks too soon. Genesis was equipped to handle the situation — giving Foster medication and an injection to stave off delivery. After his birth four weeks later – still about a month early, at 5 pounds 12 ounces — Holden was sent to the hospital’s special care nursery for monitoring. Mother and son went home after a few days. “He was pretty small — but he’s picking up weight fast,” said Foster of Holden, now almost 4 months old. Medicaid, the federal-state health insurance program for low-income people — including Foster, who most recently worked as a preschool teacher’s aide — is responsible for much of her good fortune. Started in 1965, the program today is part of the financial bedrock of rural hospitals like Genesis. As treatments have become increasingly sophisticated — and expensive — health care has become inextricably linked to Medicaid in rural areas, which are often home to lower-income and more medically needy people. Kaiser Health News is examining how the U.S. has evolved into a “Medicaid Nation,” where millions of Americans rely on the program, directly and indirectly, often unknowingly. Medicaid covers nearly 24 percent of rural, nonelderly residents and offers some financial stability to rural facilities by reducing uncompensated care costs at hospitals that would otherwise be in dire straits. In some cases, it enables them to provide costly but vital services, such as high-risk maternity care. 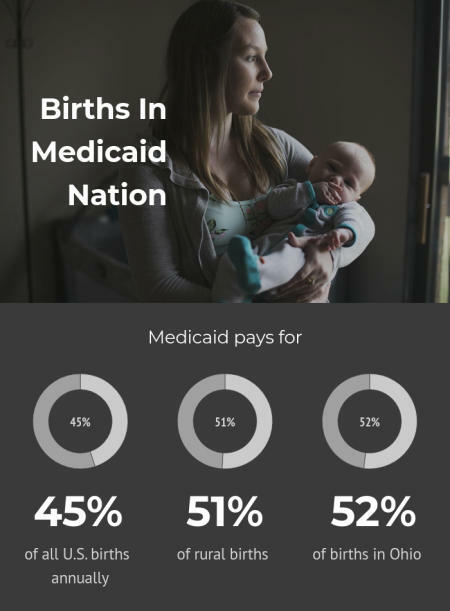 Medicaid pays the tab for close to 45 percent of all U.S. births annually, and about 51 percent of rural births, according to research. In Ohio, Medicaid pays for about 52 percent of births, according to 2016 state data, the most recent available. But efforts to control Medicaid costs are consistently high on Republicans’ to-do list. The Trump administration has encouraged states to introduce work requirements and other changes to Medicaid — changes that would almost certainly reduce the number of people it covers and the money rural hospitals receive. Ohio lawmakers have recently signaled they intend to require that Medicaid enrollees also be employed. Matthew Perry, Genesis’ CEO, who identifies as conservative and finds plenty of fault in Obamacare, is concerned about high government spending. But he acknowledges that cuts to Medicaid would be deeply problematic for his hospital, affecting what services it can afford to provide. Perry keeps a map in his office to track local options for medical care, and the next-closest OB ward is an hour away in Columbus. What happens, hypothetically, if you take Genesis Hospital off the map? “That’s a huge problem,” he said. 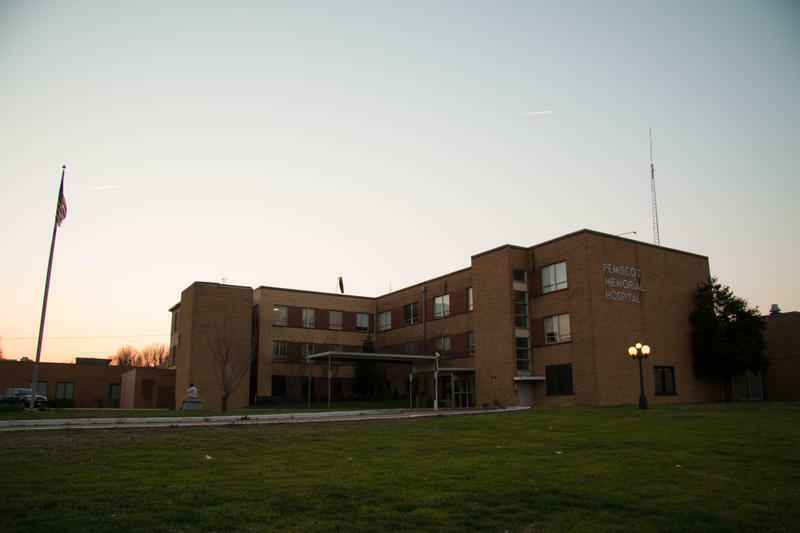 Like many rural hospitals Genesis is this area’s health care hub, the access point for primary care as well as mental health care, routine surgeries and other medical needs. It is also central to the local economy. Here in Zanesville, population 25,000, it seems as if almost everybody knows someone employed by the hospital. Main Street is quiet — a stretch of scattered restaurants and pubs, county buildings and churches. Ten minutes away, across the river, Genesis anchors a stretch that would otherwise claim little more than fast-food chains, used car dealerships and cellphone shops. This hospital, the flagship of a larger Ohio health system, is the product of a 2015 merger of two older town hospitals: Bethesda and Good Samaritan. Its 300 beds are the main source of health care across six counties — a quarter million people — and it delivers 1,500 babies per year. 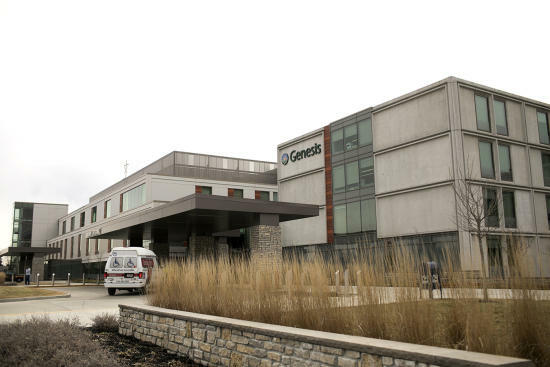 Genesis Hospital, an acute-care facility in Zanesville, Ohio, is the main source of health care and the only hospital with maternity services in rural Muskingum County. The next nearest option is 60 miles away. Ask a woman in town where she would plan to deliver, and the answer is practically a given: Genesis, of course. Locals say it’s hard to conceive of a reality in which the hospital didn’t deliver babies. 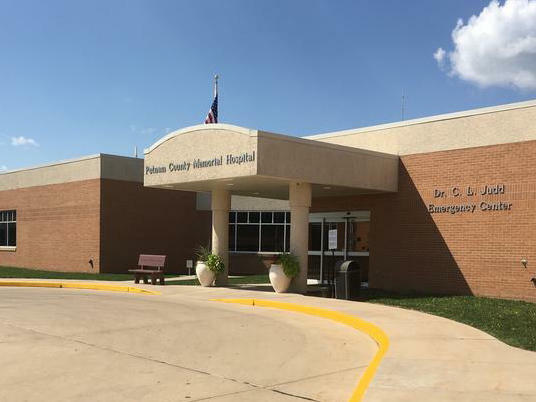 In recent years, it’s also doubled down on other services, like cancer care, neurosurgery and open-heart surgery — which experts say can cushion a rural hospital’s bottom line, even if need isn’t as great. Still, hospitals like Genesis often struggle with tight budgets and regular debates about whether cash flow can continue to support certain types of services. Rural hospitals have seen a sharp decline in the past decade. Nationally, 80 have closed since 2010 and the trend is expected to continue. Obstetrics requires pricey specialists, expensive malpractice insurance and, in the 21st century, the capacity to deal with extreme preemies and high-risk deliveries. At the same time, Medicaid reimburses hospitals less for this service— often below the cost of the care — than any other insurance program, making it a balance-sheet loss. Already, about 45 percent of rural communities do not have a hospital with dedicated maternity care. From 2004 to 2014, almost 1 in 10 rural counties lost their hospital-based obstetrics programs, suggests research published last fall. In Ohio, nine rural hospitals have dropped obstetrics since 2007 — including one that closed. The state currently has 73 small and rural hospitals in operation. That scenario is part of the reason why rural health advocates have fiercely criticized GOP efforts at the federal and state level to cut Medicaid or to eliminate the Affordable Care Act’s option for states to expand eligibility for the program. Research suggests that states’ expansion of Medicaid eligibility led to greater financial stability for rural hospitals. Also, more generous Medicaid coverage increases the odds that rural areas have any kind of obstetrics program. Potential cutbacks offer a complicated calculation in this conservative town, with practical considerations bumping into politics. Still, Muskingum County backed Donald Trump over Hillary Clinton by more than 2-to-1. Its most recent congressional representative, Republican Pat Tiberi, was a vocal Obamacare critic who, until an early retirement this past January, consistently voted to repeal the ACA and pushed efforts to reduce Medicaid’s size and scope. When pregnant women are geographically farther from health care, they and their babies are more likely to have poor outcomes, like lower birth weights, research suggests. Foster said that if she had to travel to Columbus, she likely would not have made as many prenatal appointments. Each visit means scrounging up gas money and finding someone to watch her older son for at least three hours. “It’s obvious that better prenatal care means better outcomes,” said Bijan Goodarzi, an OB-GYN at Muskingum Valley Health Center, a Genesis affiliate about a five-minute drive from the hospital. And without an operational delivery unit, hospitals are unlikely to keep on staff obstetricians who are experienced in complicated births, experts said. Keeping rural maternity services open with Medicaid funding also engages new mothers with the local health system in regions with high rates of chronic illness, drug addiction and smoking. The national opioid epidemic is acute in this corner of Ohio. 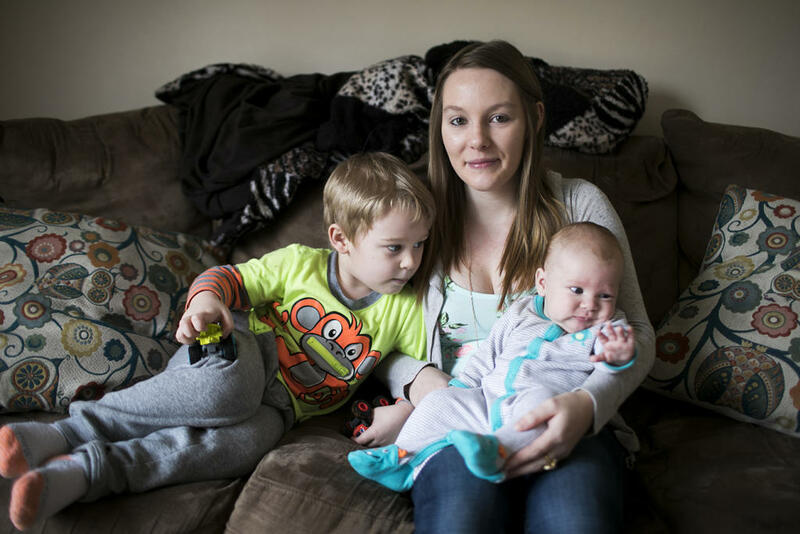 Brianna Foster sits with sons Carson (left) and Holden at her Zanesville, Ohio, home on Jan. 29, 2018. 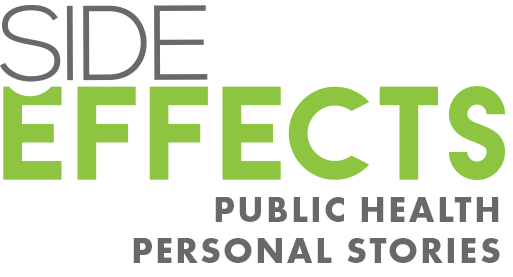 Foster, a Medicaid recipient, gave birth to Holden at a hospital just minutes from her home. “What we see is someone who comes in with no teeth, or all rotted teeth or can’t eat. And she’s not complaining about dental work. She’s here worried about her pregnancy,” Goodarzi said. Even as Obamacare repeal appears on pause, Medicaid remains vulnerable. In Ohio, many state lawmakers are pushing a cap on the state’s expanded Medicaid program — a controversial move that would almost certainly squeeze hospital revenue. Nationally, Republican leaders are weighing cuts to Medicaid, Medicare and other safety-net programs.